Online Writing | What I think About When I Think About Writing. Write Here, Write Now: The Importance of Imagination. It’s not enough to say you’re a writer; you must have something to show for it, some kind of proof. Whether they’re lines from a poem you wrote when you were four, or outlines for the next Great Irish/American/British Novel, a writer, fledgling or otherwise, will have something written down. Somewhere. I was tidying out my bedroom the other week when I came across a hand-written manuscript dating back at least ten years. Three things surprised me. First, my handwriting is terrible. I can read the parts where I wrote when I was sober. I can’t read the parts where there was drink taken. You see, I wrote most of it in my local pub. I sat at the counter and drank while writing the book that would make my fortune. I was the source of much amusement to other customers, as well as the owner of the establishment. The second thing that surprised me is the way the story made sense, in a surreal nonsensical kind of way. Each paragraph, each chapter contained scenes and dialogue that to this day fills me with a certain amount of pride. It had Beatles lyrics sprinkled about the place; it had spectral observers; it had angst and unrequited love – all in 27 drunken pages. Stephen King had nothing on me. The third thing that surprised me is that I wanted to know where the writer was going with his story. Namely, where did I want to go with it? Was there an endgame? Would the story be worth pursuing? Was it important enough to me to continue? And that, for me, is the crux of matter. When I was young, I read comic books – as I’m sure most of us did to some degree – but I would copy the story into a notebook, using the pictures and speech bubbles as prompts. 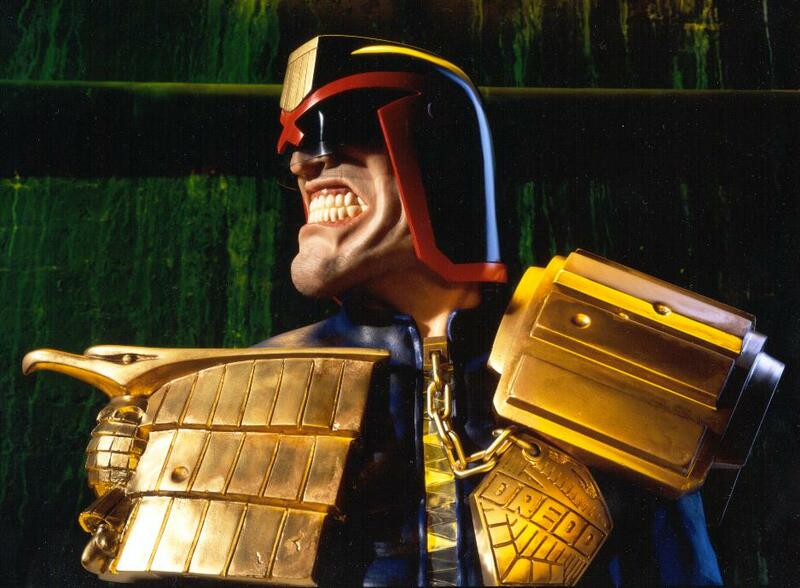 I “wrote” Judge Dredd and Strontium Dog stories from 2000AD. I used Captain Kirk and Mr Spock as templates for new adventures set in other universes. In other words, I used my imagination. It was important for me then, and I guess it’s important for me now. I don’t drink any more, but I now work in the pub where I started my then magnum opus. I may go back to it one day…when I have the nerve to do so. 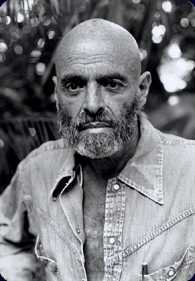 I never heard of Shel Silverstein until quite recently. In fact, I never read much poetry until quite recently, too. I have found, though, that I like my poetry the way I like my prose: fast-moving, not too ornate, but with enough imagery and action to make me want more. A perfect example of what I do like is this poem by Silverstein. It’s called Danny O’Dare. I love the way it dashes along. What would you do if two of your main characters turned up on your doorstep and asked you why you haven’t completed their story? You’d no doubt take a long look at your alcohol and drug habit, thinking it might just be a hallucination. This is exactly what happened to Stephen King in the/his novel Song of Susannah, the sixth in The Dark Tower series. I had been told that this was the weakest of the saga; the least liked and most hated. I didn’t think that at all. Colour me prejudiced, but I’ve taken to King’s epic like a Jesus to a child. But this was the one where it all went a bit weird. Characters, like Father Donald Callahan, found out that they, in fact, creations of King’s imagination. But it goes much deeper than that. Because there are an infinite number of multiverses, all centred around the Dark Tower, it makes sense that even universes of the imagination would co-exist along side our own. It’s a concept that takes some getting used to. One has to think so far outside the box that the box doesn’t exist anymore. 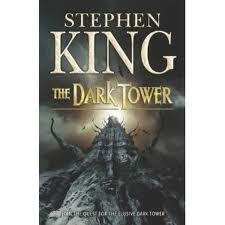 Susannah Dean becomes Susannah-Mia, an entity created by a Crimson King-designed pregnancy – a ruse brought about to frustrate and ultimately bring down Roland Deschain’s quest for The Dark Tower. 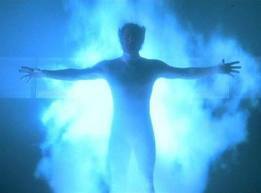 Our heroes are separated and find themselves in the United States at different times: in 1999 Susannah-Mia are about to give birth; Jake, Father Callahan and Oy set out to save her; in 1977 Roland and Eddie meet their “creator” and somehow convince him to carry on with their story. King writes himself very well. He acknowledges his burgeoning alcoholism as well as the accident that so nearly killed him. 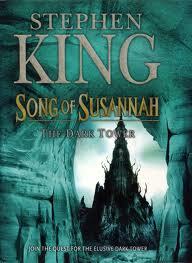 So, by no means is Song of Susannah the weakest link in The Dark Tower chain; it’s a necessary step King took in order to bring about the climax which comes in volume seven. I loved it and will defend it until I reach the path at the end of the clearing.